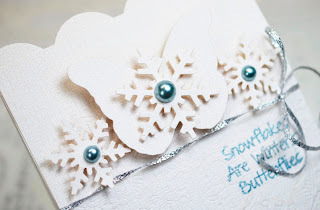 I love the idea that snowflakes are winter's butterflies! Even now (as old as I am) when big, pretty snowflakes fall, I want to run out and catch them on my tongue. Since it's about 100 degrees right now, those snowflakes are just a fond memory. And something to look forward to! The sentiment is from the Friendship Warms the Heart stamp set. 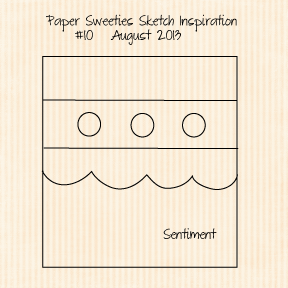 Check the Paper Sweeties Blog for all the Challenge details. 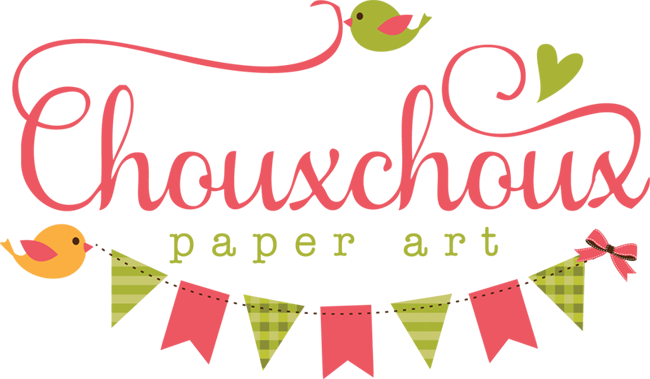 Hope you join us! So pretty - I love the blue with the white!! I'm not sure I want to catch butterflies on my tongue, but I totally get what you're saying!! ;) Second thought, it's probably way better than what I've caught while on the back of a motorcycle...gag!! 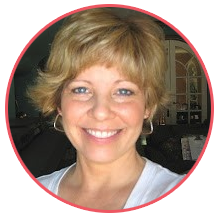 Beautiful work Lori. I love your card. 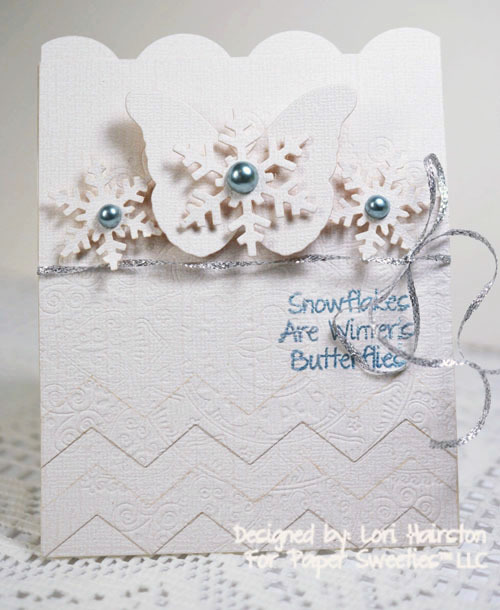 What a snowflake beauty, Lori! Love all the blue and white...so pretty! 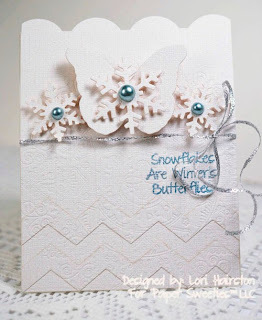 I've always loved that quote, too, Lori and you have used it magnificently on your gorgeous card, a very beautiful colour combo that is!